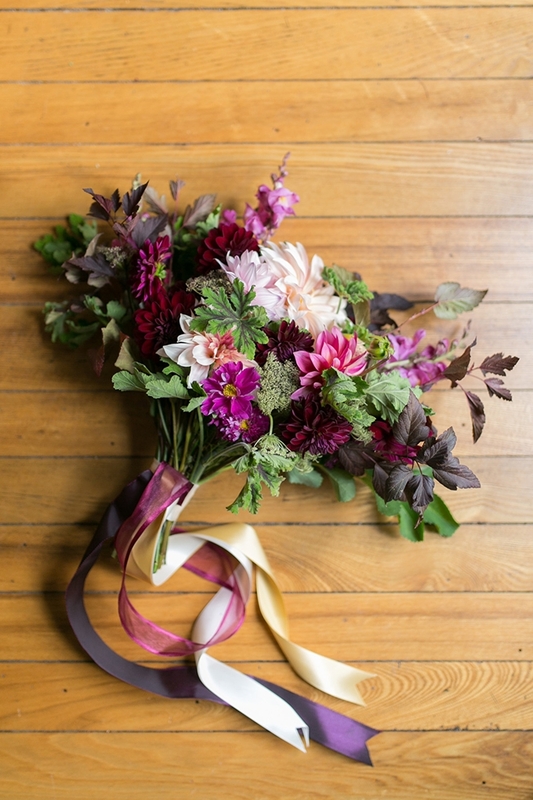 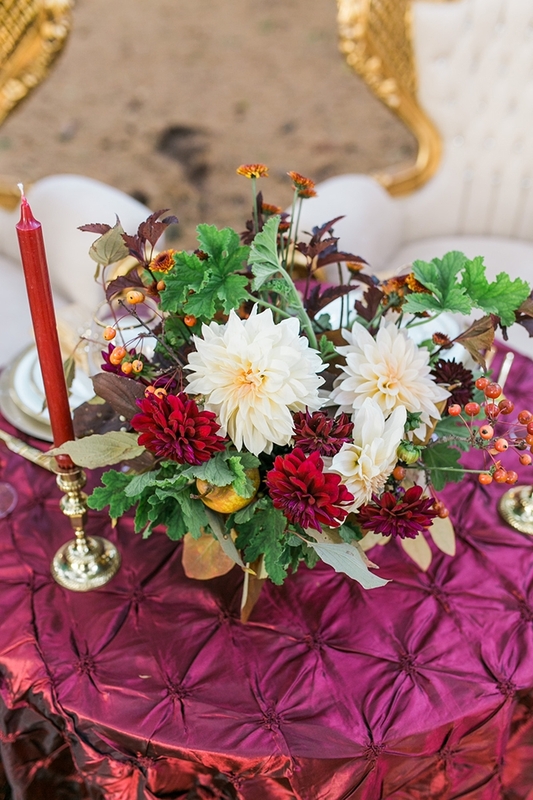 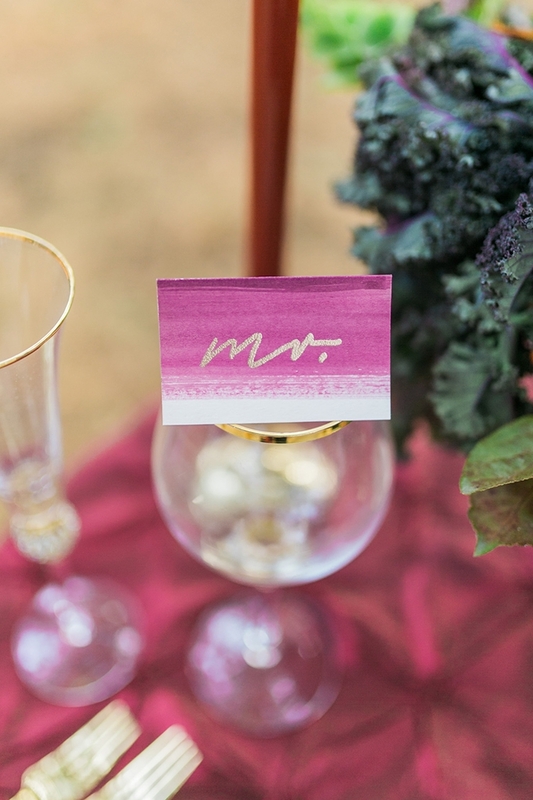 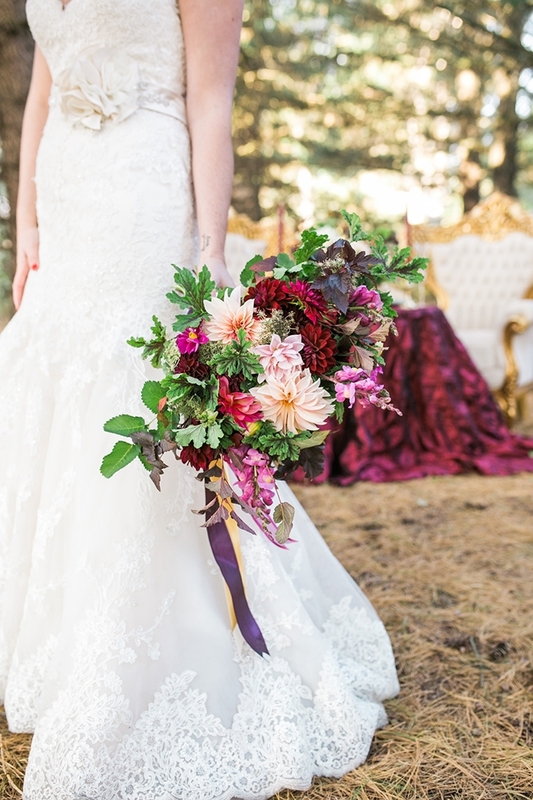 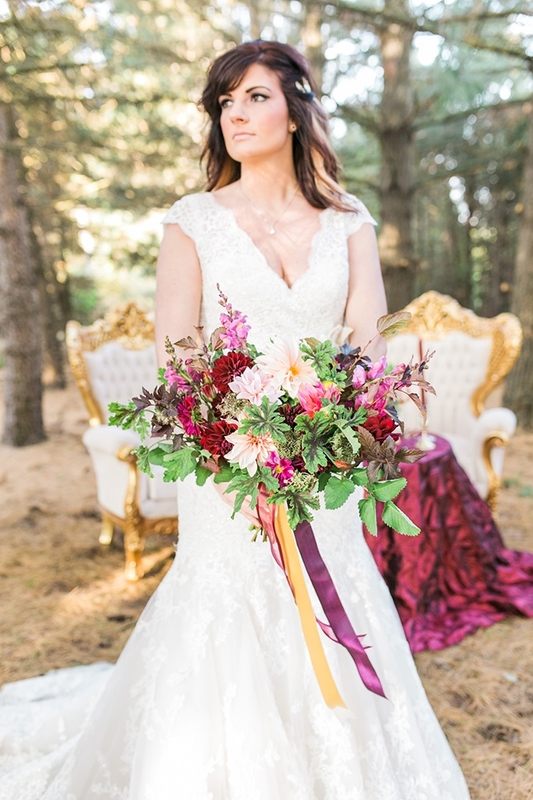 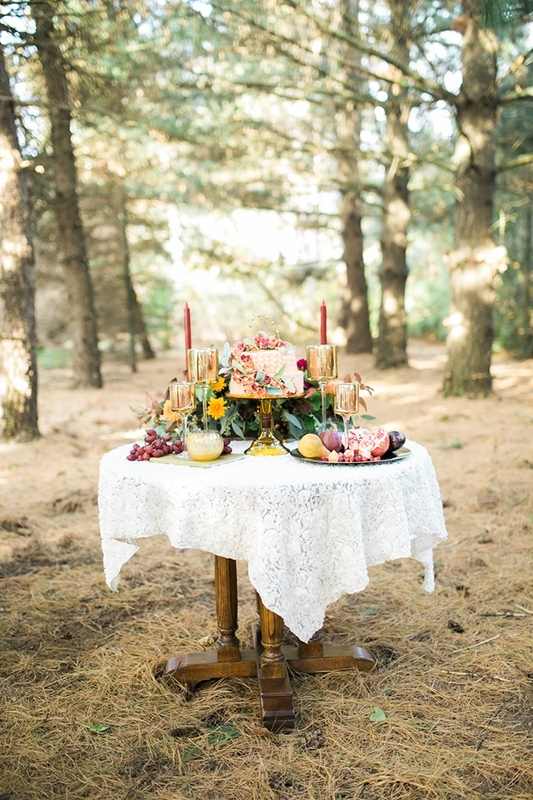 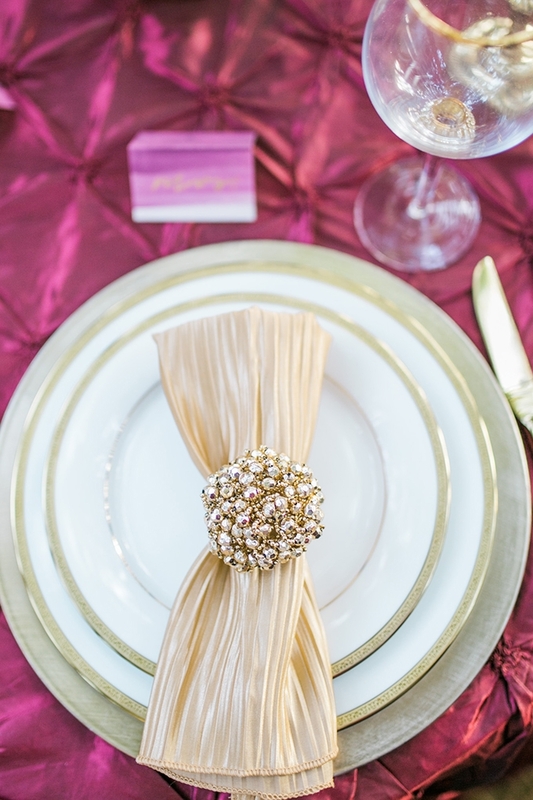 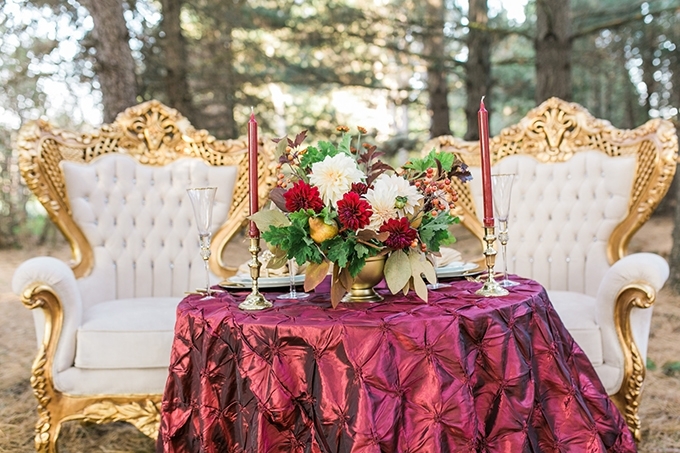 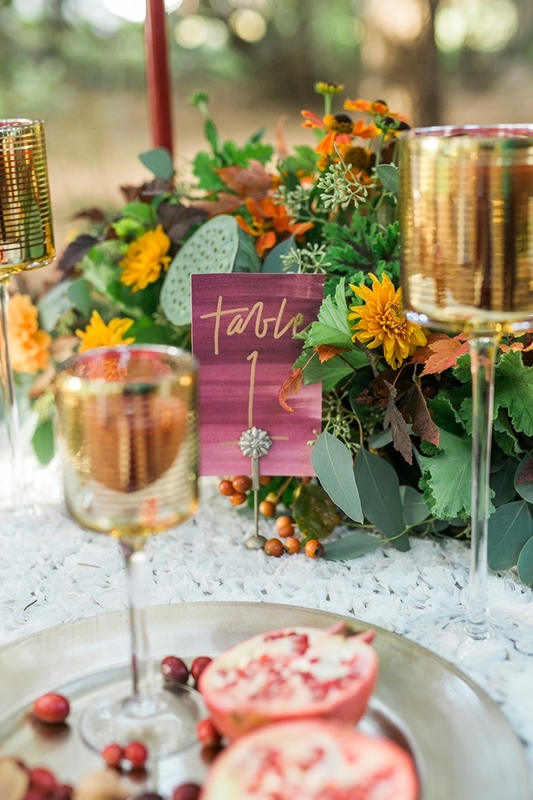 Cranberry and gold is the perfect winter wedding color combo and it’s never looked better than in this gorgeous shoot captured by Mandy Ford Photography. 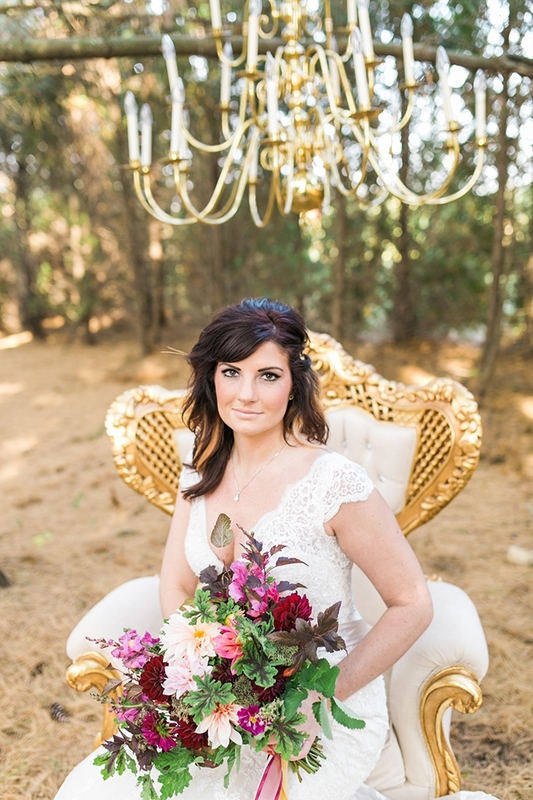 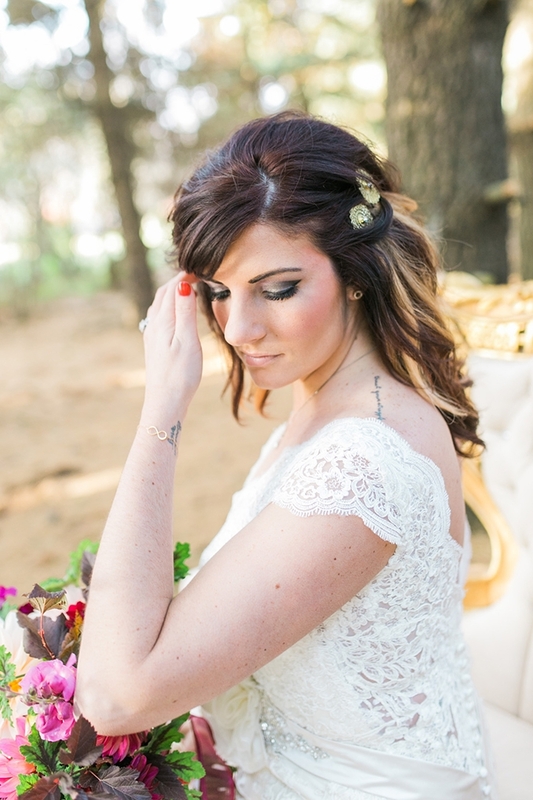 From the lush florals to the gold wingback chairs, I love every detail this Northwest Ohio dream team created. 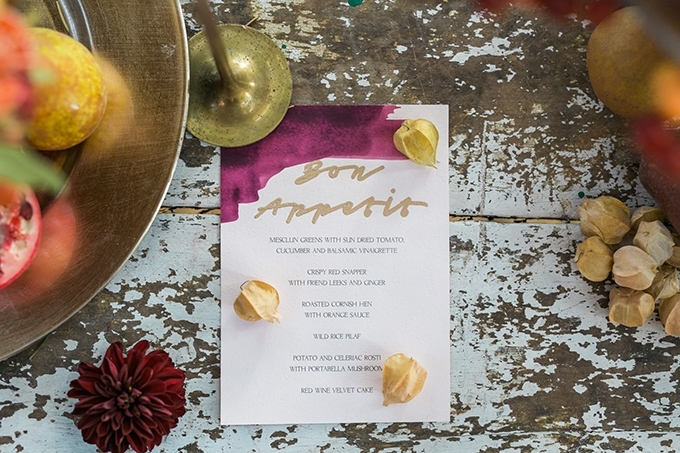 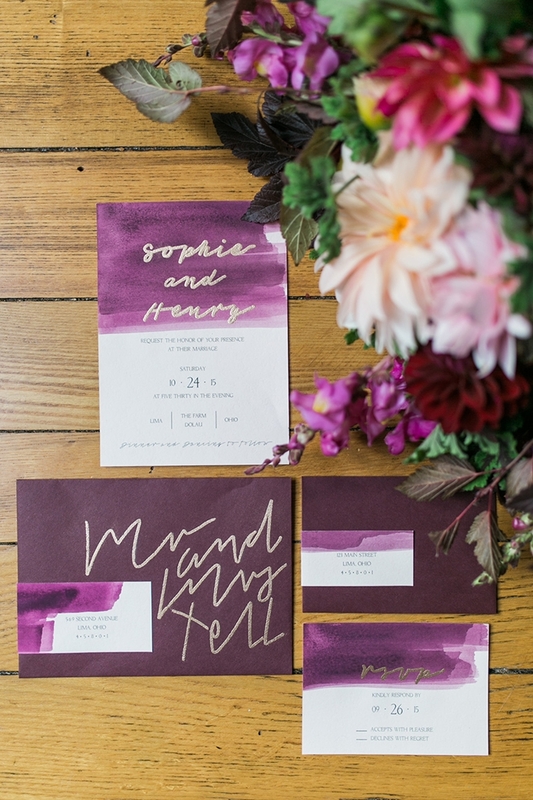 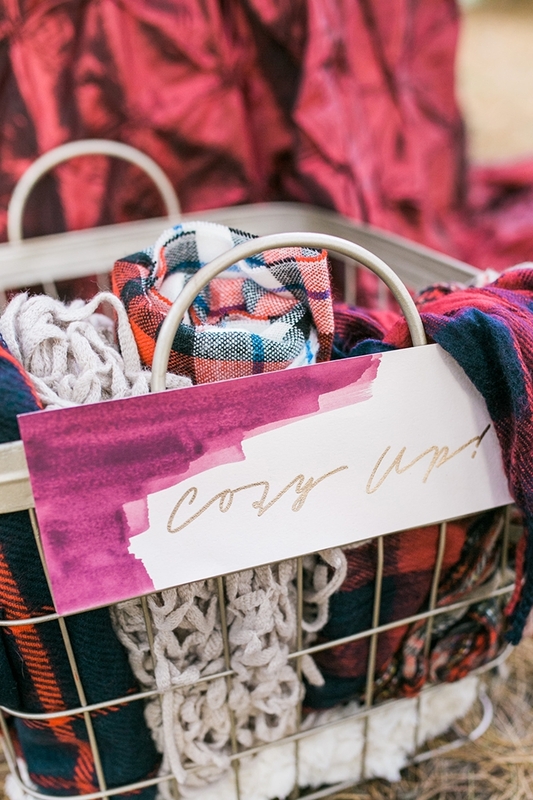 The watercolor and gold ink paper goods are the perfect mix of modern and glam. 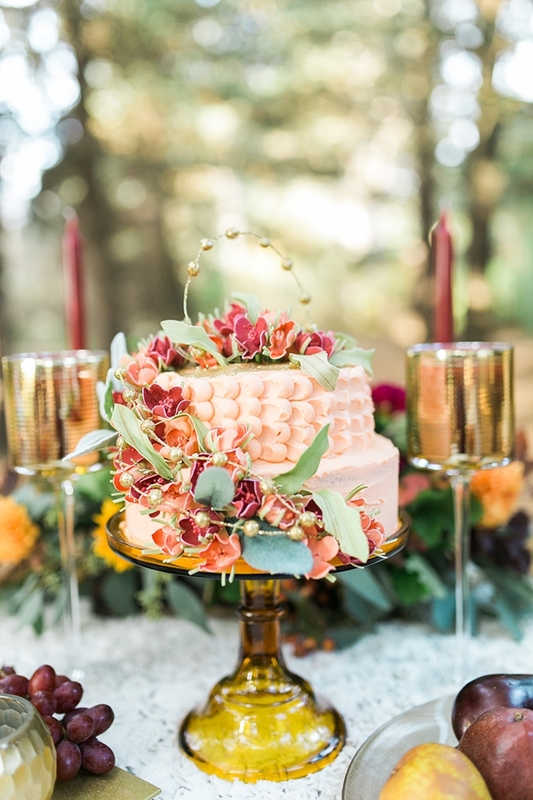 And that gold and peach cake may be one of my favorites all year!